05 Nights accommodation in Dubai. Dhow Cruise tour with buffet dinner. Atlantis Aqua Venture Water Park & Lost Chamber Aquarium. Dubai Aquarium and Underwater Zoo with Dubai Mall. 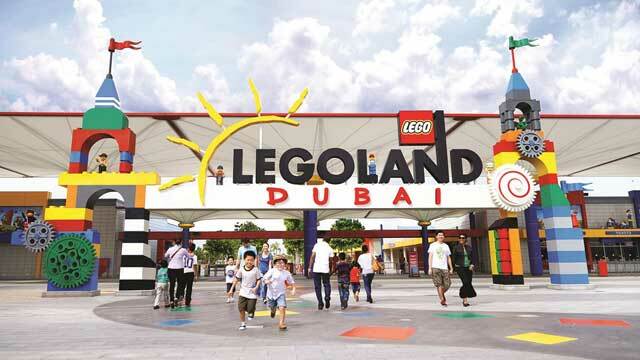 Dubai Park Legoland & Bollywood ticket with transfers. Transfers from Dubai Hotel to Airport. 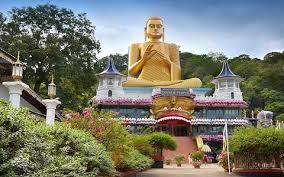 Tour Is Inclusive Of All Breakfast+ Flights + Fully Loaded Tour + 4 Star Hotels. 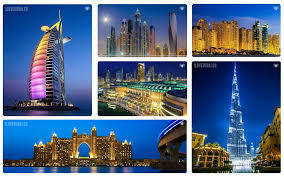 1 Days ( Arrival at Dubai - Dhow Cruise) Upon arrival at Dubai airport do the custom clearance. Meet & greet our local representative & take transfers to Hotel. Take rest at hotel lobby till the time wait for check in @ 14:00 hrs. In the evening enjoy Dhow Cruise with dinner pick up @ 19:00 hrs. The two-hour Dubai Dhow cruise that usually begins after sunset covers almost the entire of Dubai Creek. As you gaze at the splendid views of the Creek wherein the modern era's classiness joins hands with the aura and charm of olden times, our traditional Arabian Dhow Cruise Dubai provides you with an as never before sightseeing experience while allowing you to savor a wide range of freshly prepared international gourmet specialties and enjoy a spectrum of onboard activities including live music performances and traditional Tanura dance shows. Overnight at the hotel. 2 Days (City tour & Desert Safari) After breakfast at the hotel, enjoy morning half day city tour pick up @ 09:00 hrs. The half day city tour is one of the best ways to explore the both historic and glittering side of Dubai that is often referred to as the Middle East's gem. Starting from Dubai Creek, the tour includes a visit to Dubai Museum that is housed within the 18th century Al Fahidi Fort. It has on display arts and artifacts reflecting the ancient history and lifestyle of traditional Arabs. 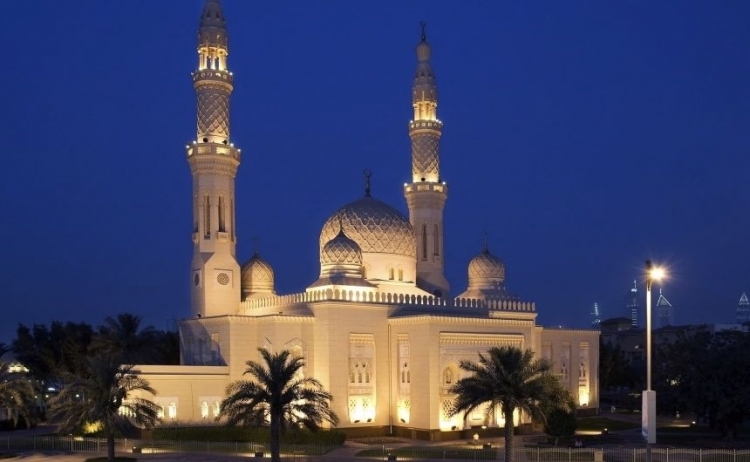 An ideal illustration of a blend of outstanding Islamic and contemporary architecture, Jumeirah Mosque is another popular point of interest covered in the itinerary. After that drop back at hotel take lunch by own. In the afternoon enjoy Desert Safari tour with dinner pick up @ 15:30 hrs. Where you will experience an exhilarating escapade of a lifetime. It offers six hours of untainted fun and heart-stopping activities in one of the biggest as well as magnificent deserts in the Arabian Peninsula. Desert Safari in Dubai is a mix of adventure, cultural entertainment, and sumptuous dinner under the stars. Overnight at the hotel. 3 Days (Atlantis Aqua Venture Water Park & Lost Chamber Aquarium) Enjoy breakfast at the hotel and get ready for Atlantis Aqua Venture Water Park & Lost Chamber Aquarium tour. Come live out your own Atlantean adventure at The Lost Chambers Aquarium. Explore the underwater mazes and tunnels of this lost civilization while encountering sharks, eels, seahorses, and piranhas. There are over 20 remarkable marine life exhibits in this Dubai aquarium including a touch tank and interactive Aquatheatre show. After that enjoy the thrill of jumping into the No. 1 water park in the Middle East and Europe, over flowing with 17 fun-filled hectares for all ages. 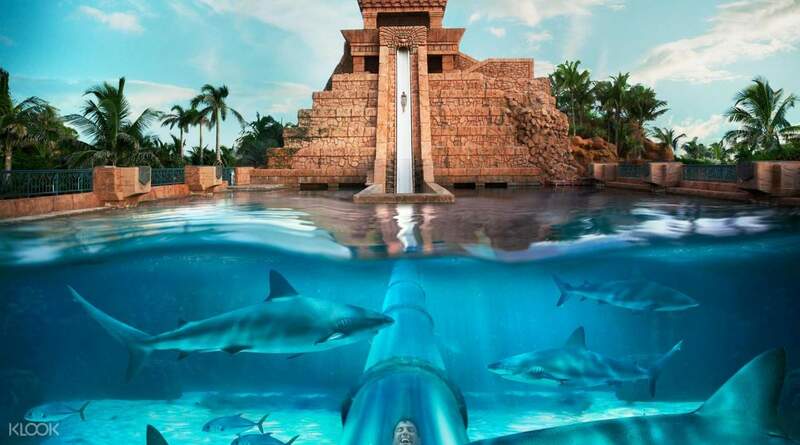 Experience adrenaline pumping waterslides that catapult you through shark filled lagoons, scream through the planet's largest slide or race down the world's first dual slide within a slide. Fly high on the longest zip line circuit in the Middle East. Or just relax on our private beach surrounded by lush tropical landscapes. Plus younger children will love Splashers a play area designed just for them. Spectacular rides and thrilling slides make Aquaventure Waterpark the most exciting day out in Dubai. Overnight at the hotel. 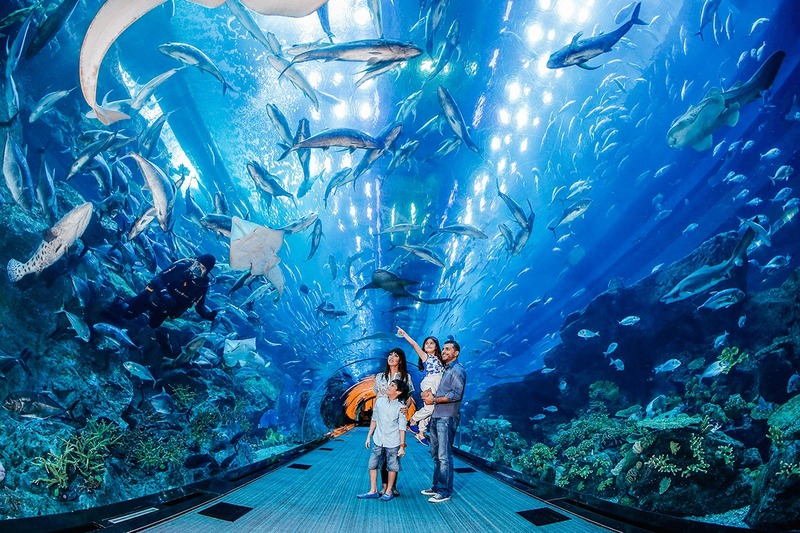 4 Days ( Dubai Aquarium and Underwater Zoo with Dubai Mall) Enjoy breakfast at the hotel as today you get another mesmerizing experience at Dubai Aquarium and Underwater Zoo with Dubai Mall. Designed to world-class standards, the aquarium allows you to experience the exotic wonders of aquatic life first-hand through breathtaking views and a choice of leisure and dining activities. Located strategically in the center of the mall, the 50m long aquarium is flanked by two glass tunnels at varying levels offering windows into the incredible diversity of marine life. Travelling through these, you will be treated to an exceptional underwater experience as you see eye-to-eye with sharks, stingrays and other species of fish in their natural habitat. The very worthwhile Underwater Zoo journeys through three eco-zones: rainforest, rocky shore and Living Ocean, and a total of 38 aquatic displays. There are lots of rare and interesting denizens here, including air-breathing African lungfish, cheeky archerfish that catch insects by shooting water, spooky giant spider crabs and otherworldly sea dragons. Overnight at the hotel. 5 Days (Legoland Dubai Park & Bollywood Theme Park) Enjoy breakfast at the hotel. Get ready for the experience 40 LEGO themed rides, shows, building experiences and Legoland attractions. its the perfect day out for families with children. 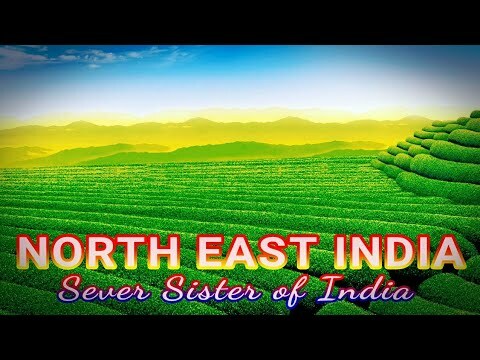 After that The first theme park in the world dedicated to all things Bollywood! Action, adventure, romance, comedy, music, dance, flavour and emotion, Bollywood style. A celebration of Mumbais legendary film industry in 5 zones inspired by Bollywood blockbusters, enjoy live entertainment, stage performances and flamboyant cinematic rides in an experience unlike any other. Overnight at the hotel. 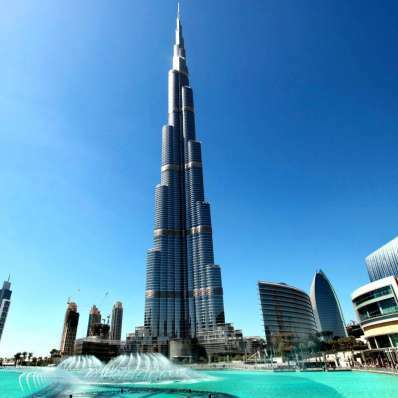 6 Days ( Departure from Dubai) After breakfast at the hotel, check out from hotel @ 12:00 hrs and proceed to Dubai airport for your onward journey.